Sample executive assistant job description to adapt for your own use. Executive assistants typically function as support to high level executives and managers. They undertake a wide variety of duties and responsibilities in a number of different industries. The key duties, skills and competencies of an executive assistant or executive administrative assistant job are clearly outlined in this sample job description. Provide personal administrative support and assistance to executive staff. 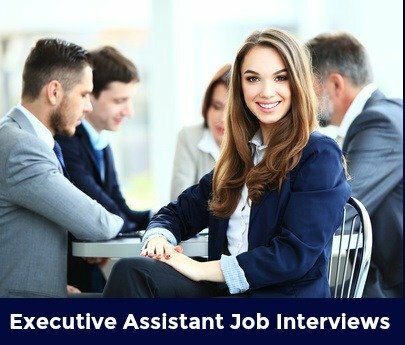 Adapt this executive assistant job description to suit your particular requirements. 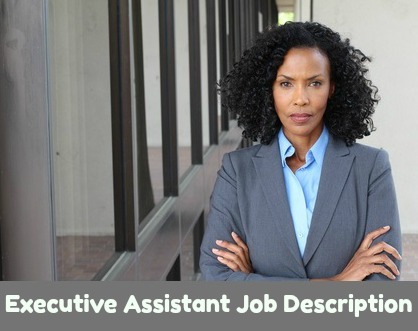 This executive assistant job description can be used to write your resume. Use the excellent sample Executive Assistant Resume to develop an effective resume. Use this sample Executive Assistant Cover Letter to get your resume read and land the job interview. What are the key skills of an executive assistant? Employers have identified these top 5 skills as essential for successful job performance as an executive secretary. Top 10 Interview Questions asked in the job interview. Indeed.com reports that as of March 2019 the average salary for executive assistant job postings in the United States is $53,880 per year. Job postings for the title Executive Secretary showed an average salary of $48,000 per year.